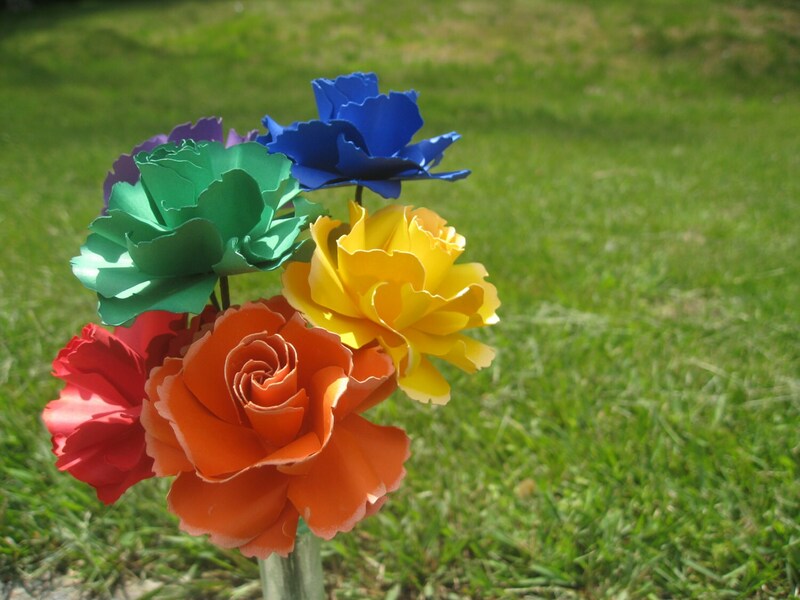 Dozen Wild Roses, CHOOSE YOUR COLORS!! 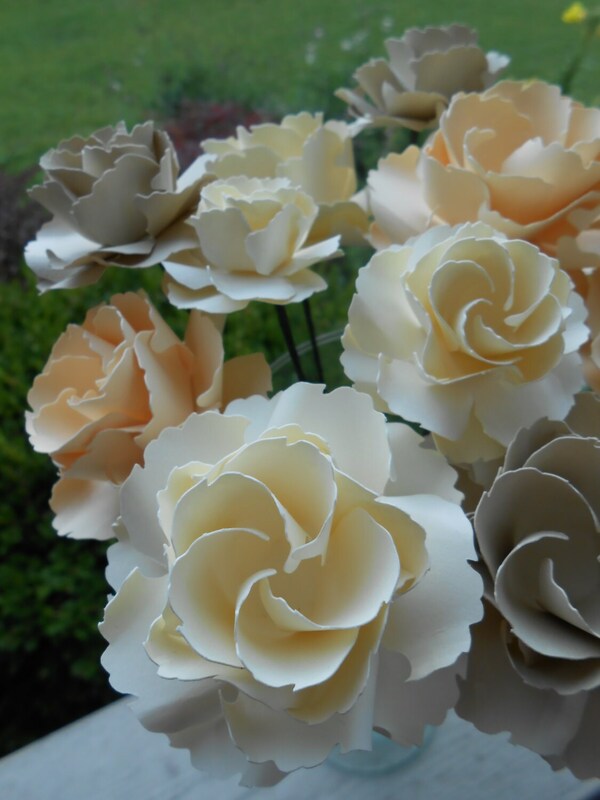 Wedding, Paper Flower Bouquet, Gift, Centerpiece. Valentine's Day, Anniversary. 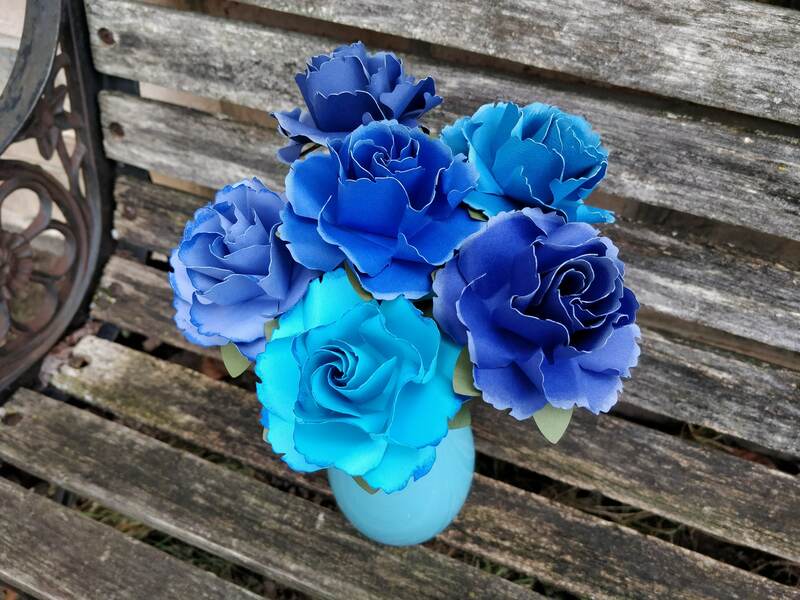 This bouquet is the perfect little gift for anyone! 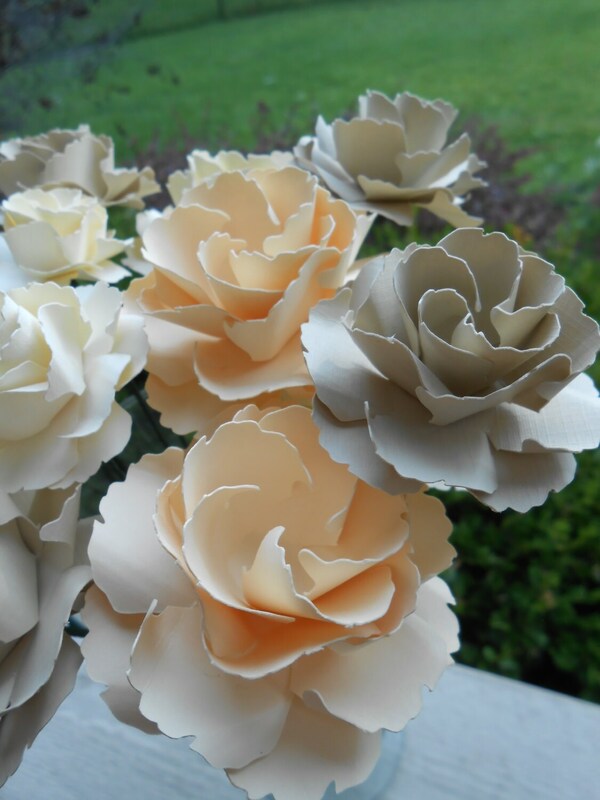 This listing is for a dozen wild roses, in the colors of your choice! They make great decorations for any event. 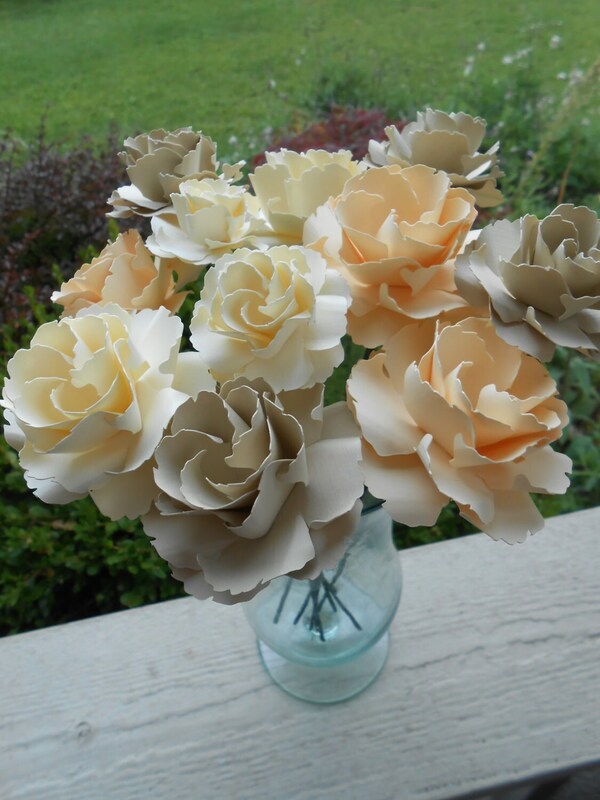 Give them as a gift, use them in a wedding bouquet, or put them in your home. 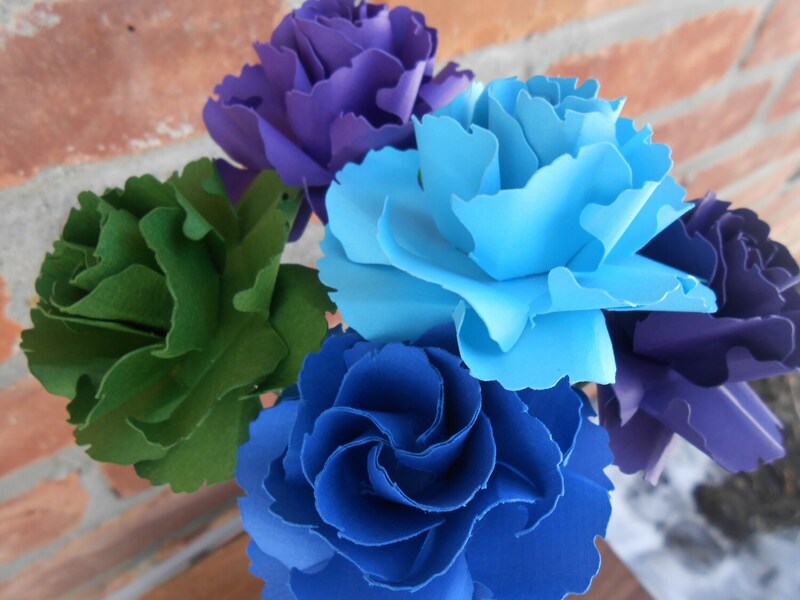 Each flower is carefully assembled by hand from cardstock. They are put on flexible stems that are wrapped in green. The roses measure about 3" across. *Please leave a message at checkout if you would like different colors.